As with many things in life, it’s all about first impressions when it comes to gifting. In the age of Instagram, we can’t help but take snapshots and stories of our presents as they accumulate under the Christmas tree. The more eye-catching the wrapping paper, the more excited we are to share it with others and finally discover what’s inside. With our original wrapping tips, we invite you to use your imagination to create gifts that will stand out from the crowd and make your loved ones’ Christmas so special. 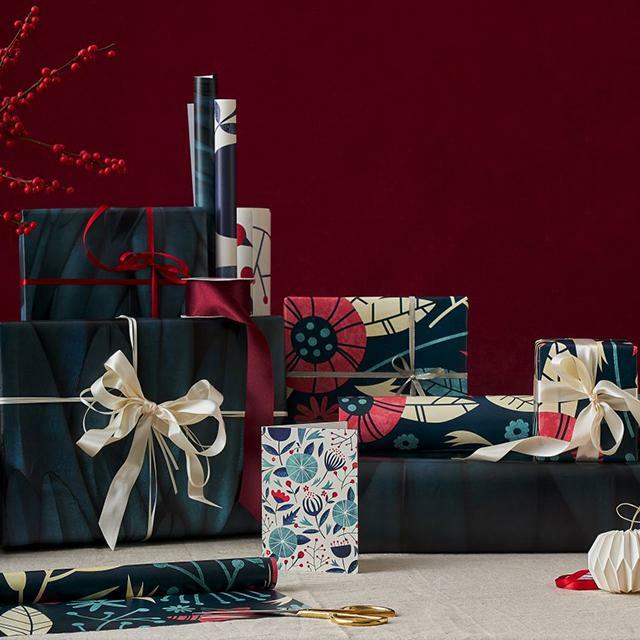 For someone who loves the finer things in life—think wining, dining, theatre and more—you can couple elegant marble wrapping paper with an abstract fine art card. Simple and sophisticated, just like them. 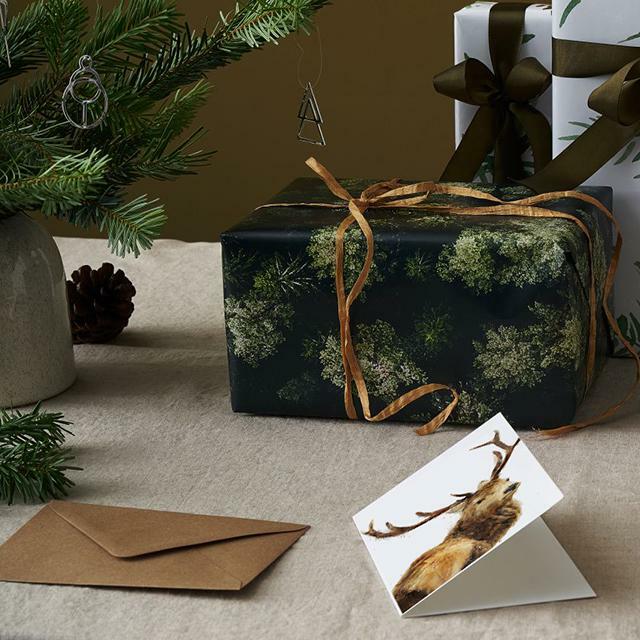 If you’re seeking to impress a lover of the outdoors, turn their gift into an evergreen paradise by layering forest wrapping paper and earthy-coloured ribbons, before topping it off with an adorable deer Christmas card. And for the fashionistas out there—leopard print is the new black! Whether they love their furry winter coat or panther PJs, you’ll definitely bring out a smile by using this leopard gift wrap. Add a couture-themed card and you’ll keep their Christmas super on-trend. Combine textured green leaves with Nordic nature motifs for a finish that’s both tasteful and playful. Scandi and wabi-sabi fans will be in their element. Christmas is a time to sparkle, right? So turn the colour gold into the leitmotiv of your presents. For this we propose the designs of Elisabeth Fredriksson, whose golden-trimmed wrapping paper and postcards are a match made in heaven. Even traditional wrapping doesn’t have blend into the background. Encase one little treat in a pine trees design, another in a paper coating of Christmas holly, and throw in a classic Christmas card for the icing on the cake. You can easily wrap gifts like books and rectangular prints in the conventional way, i.e. in the exact shape of what’s inside. 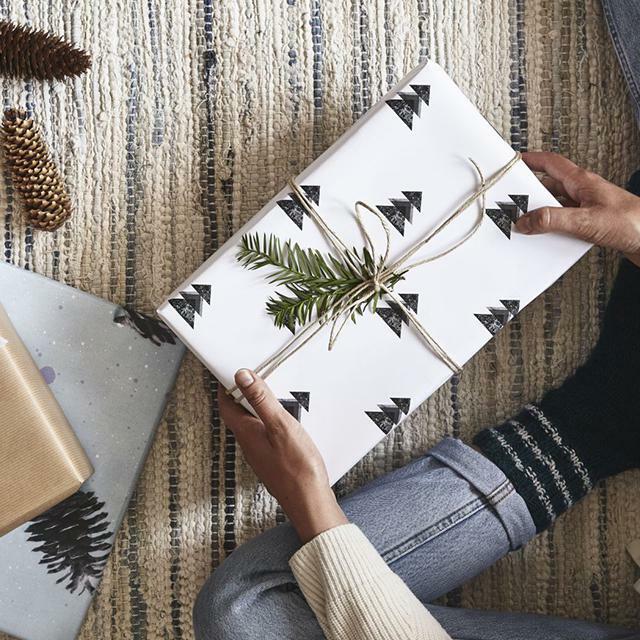 When it comes to the likes of more unconventionally shaped gifts, such as plants or festive mugs, try wrapping them more loosely, for example by using the paper to make a gift bag or envelope. Who said less is necessarily more? The whole essence of Christmas is extravagance and over-indulgence! This means flamboyant finishing touches are more than acceptable. We’d recommend attaching some festive trinkets such as a pine cone, eucalyptus branch or a little homemade bauble. Voilà, now you’re ready to put your ideas into practice and become a true #wrapstar. 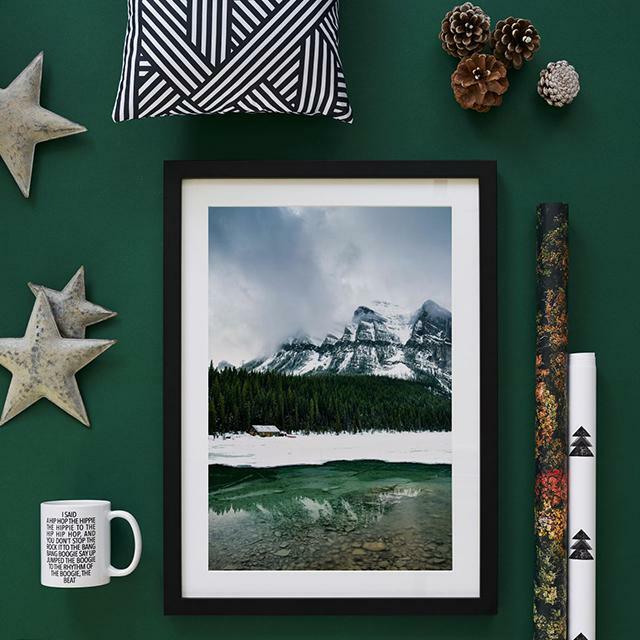 With the right wrapping paper, a coordinated season’s greetings card, and a lovely decorative trinket, your Christmas presents will no doubt go down a treat.